Until two days ago, I don't think I'd been inside a high school since having graduated from my own back in Rootstown, Ohio (class of 1984... yikes!). 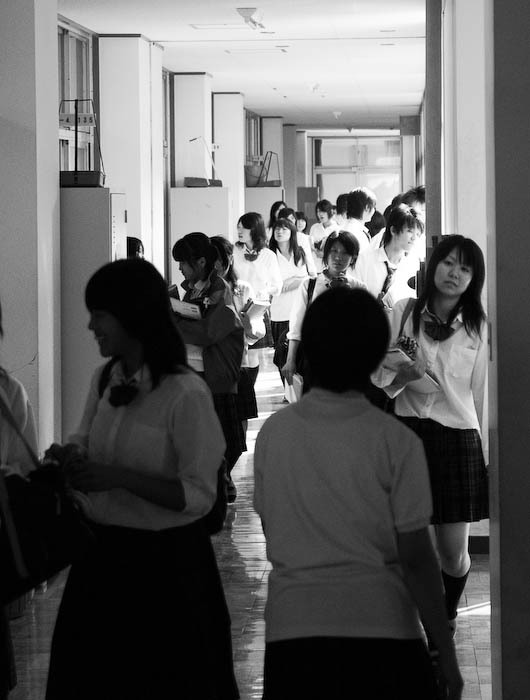 I'd certainly never been inside a Japanese high school, but had seen enough of them from the outside to have the impression that they were somewhat like prisons... dark, dirty, bleak. One of the dads at Anthony's kindergarten, Yoko-chan's daddy, teaches at a high school, and invited me to visit his class. I'd mentioned that it'd be interesting to do a series of blog posts on kindergarten daddies, having recently featured another such daddy in a post on noh theater, so that's what started the idea. I thought I'd snap a few pictures and be done, but it turns out that he had a full, wonderful day in store for me. He secured permissions for me (and my camera) to enter the school, and to visit classes in progress. I got a full tour, got to meet the principal and seemingly most of the 515 students, and participated in one of his classes. 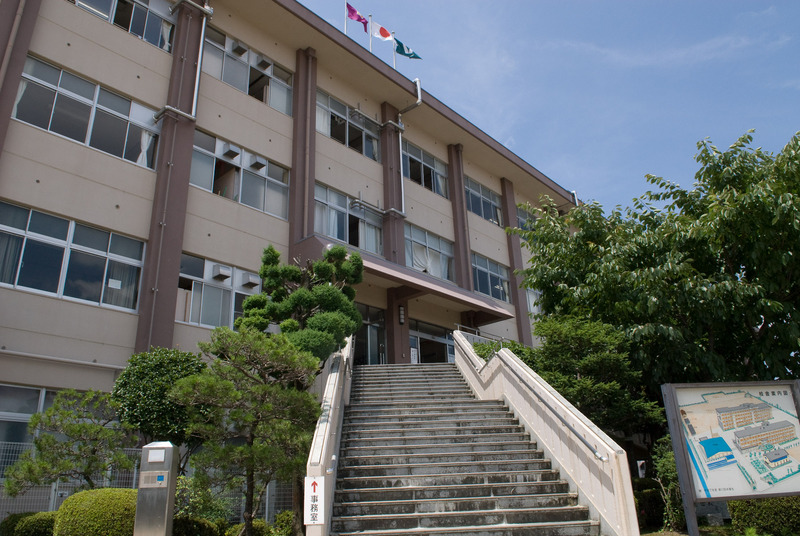 Nishi-Uji High School was built in the mid 1970s, and is currently one of five public high schools serving Uji, a sweeping city south of Kyoto. It consists of two main buildings connected by walkways (creating a tree-filled center court that would be really nice if it weren't for the earthquake retrofitting being done at the moment). There are also two gymnasiums and a huge sports ground. It's all clear on the satellite photo of the area. 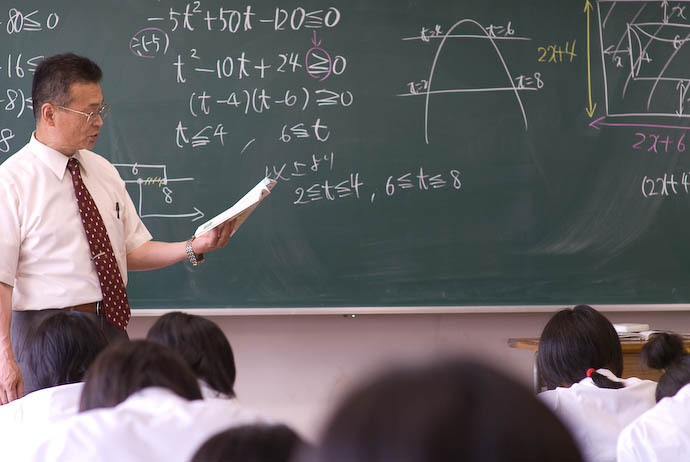 There are 515 students in the three grades that make up a Japanese high school, and 42 teachers (not counting the teachers that fill administrative positions, such as the former science teacher who is now the principal). 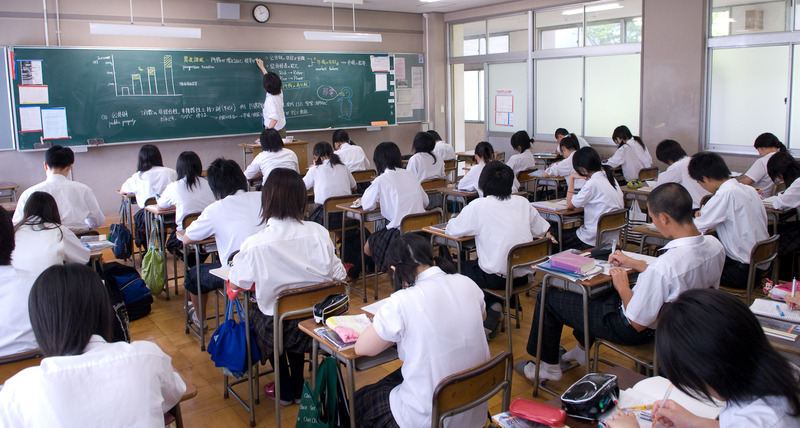 That's an impressive 1:12 teacher/student ratio that is perhaps better than the average Japanese public school. At first I thought that it was a girls' school because I didn't see any boys, but it turns out that it's just the ratio... three fourths of the students are girls (which seems lucky for the 26% that are boys!). As is reflexive in most every Japanese, the sight of a camera brings a Pavlovian peace-sign response. I normally try to avoid it, but we've seen it recently on my blog here and here. 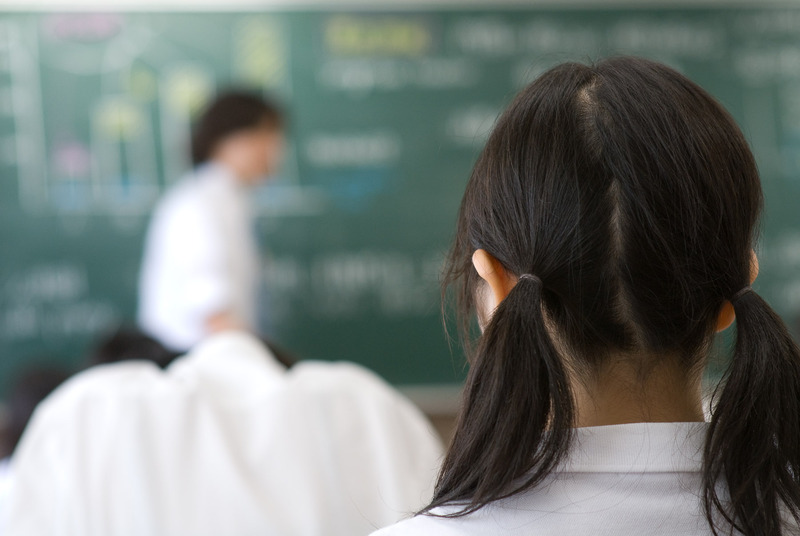 One thing very different from an American high school is that the kids belong to a particular room and they generally stay in it for all classroom instruction, and it's the teachers who move from room to room. It really makes a lot of sense... there's less commotion between classes (40 teachers moving instead of 500 kids), and the kids develop a sense of ownership/responsibility for their room and desk. This means that the teachers don't have their own room, so they have a desk in a teachers' office area. After meeting the principal and thanking him for allowing me to visit his school, we walked around a bit, then went to the teacher's area to wait for classes to start. I really didn't know what the plan was, so just went with the flow. 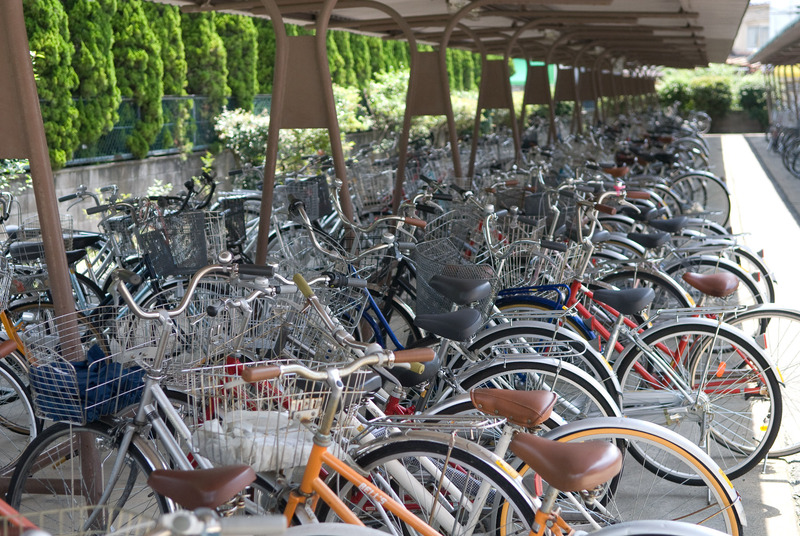 Most students come by bicycle, or by train + bicycle. Surprisingly, only 21 kids live close enough to walk, and 57 kids spend more than an hour each way. I don't understand the details, but this school is apparently special in that they've tried some alternative education techniques here, such as allowing the kids more latitude to choose for themselves what to study and how to do it. In many respects, this makes it closer to American schools, but they're starting to retreat from this idea because in the 10 years they've been trying it, test scores have gone down and they've seen their graduates disadvantaged by it. I suppose it's a valid question as to whether the approach is bad, or simply that it doesn't fit it into the larger context of the country's already-established education system. 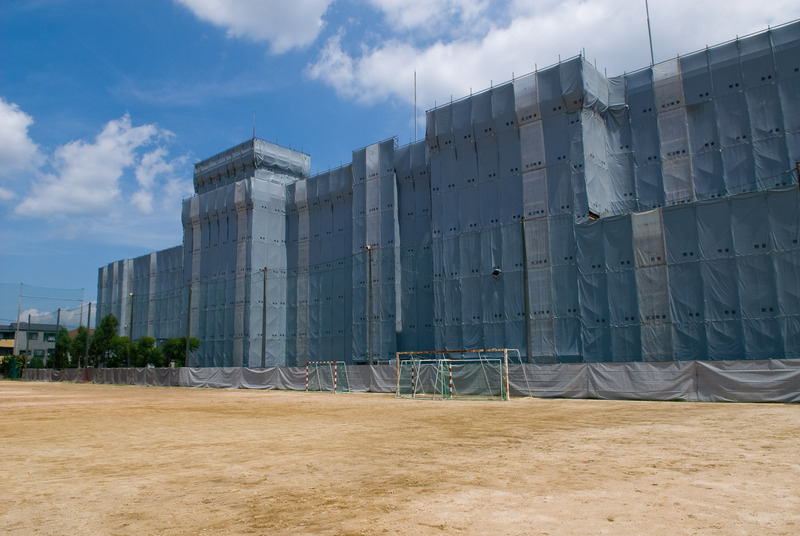 In any case, I believe that this is a school that kids elect to attend, which would explain the long commutes that some face, as well as a decidedly bright and cheerful mood to the place – a far cry from the “prison” I half expected. Kids can pick one of several sports, and work on it for a quarter of the year until they switch to another. These kids were just starting tennis. It was hot. I was a math major, and this is simple stuff, but nevertheless, my brain hurts just looking at it. Then it was time for Ninomiya-sensei's next class, a small once-a-week group discussion on ethics. This is what I thought I'd originally just take a few snapshots of, but it turns out that I was a guest member of the discussion. We talked for two hours, using my foreign perspective to spur discussion (and, hopefully, stimulate thought) on all kinds of issues ranging from Japanese culture, to gender equality, to school bullying, to differing approaches to education, to religion. Just before a break we took halfway through, I asked them to envision their life at 36 years old (they were now mostly 18). Career? Kids? Both? They were to think about it during the break, and then we'd discuss (with my intention to then ask "does what you do in your life now have any impact on getting there?"). So, we come back from break and Ninomiya-sensei asks “Life at 36... okay, who's first?” at which point the five students exploded into a rock-paper-scissors competition that was almost violent in its sudden fury. Unless you have actually seen it, you can't possibly imagine how fast a group of Japanese can decide the most complex selection processes with paper-rock-scissors. Whether it's picking one out of five, or 7 out of 32, or whatever... they apparently can communicate on some kind of ESP level at nano-speeds, resolving ties and moving on to subsequent rounds until the final winner or winners have been selected. I don't exaggerate a bit when I report that they can perform two entire rounds each second. I can't even begin to follow along that fast, much less participate. I'm merely left in awe, with a puzzled “who won?” look on my face. Even at five years old, Anthony is getting good at this, although his age isn't at the two-levels-per-second stage..... yet. Classroom instruction ends at about 4pm, after which kids not already in their home room return for a few minutes for announcements, and then to tidy up their room. Then came time for the various school clubs. There are a dozen different sports clubs, including three different tennis clubs, soccer, softball, baseball, kendo (Japanese fencing), weight training, volleyball, handball, basketball, and badminton. 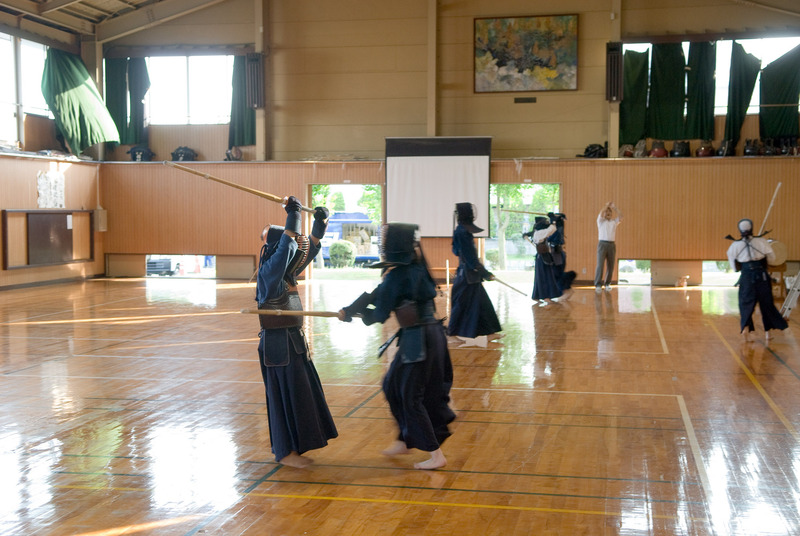 Non-sports clubs include singing, band, homemaking, volunteerism, folk music, broadcasting, art, theater, and tea ceremony. Ninomiya-sensei had office hours to counsel students, so I wandered around to check out the clubs. Indoors, the music-related clubs seemed pretty popular, and I could hear some of the kids practicing, and some were really good. What a treat. All and all, it was a day of wonderful surprises, both because I got to actively participate, and because my stereotypes were wholly broken. I'm sure that this school is nicer than average, but even so, it was much nicer than I would have expected. Thanks Yoko-chan's daddy, for a wonderful experience! What a fascinating insight – thank you Jeffrey for sharing, and Ninomiya-sensei for arranging it all. Having gone to an all-boys school, I’m green with envy at that girl-boy ratio! I hope we hear something of the ‘Life at 36’ discussion. I think Jeffrey has a preeminent talent as a photo journalist. The other day was a very exciting day for my students and me. You thoroughly searched for the Nishiuji high school. I was surprised because you had been writing what I did not know accurately. However the sample of the uniform belongs to not next year’s but a student today. I will show students this blog tomorrow. I’m sure that they will be terribly surprised. Please come to our school again by all means. Wow UNO!!! I love that game, It’s kinda sad that tradition Japanese card games have gone out of fashion. I think saying “gone out of fashion” is out of step with today’s young people too! 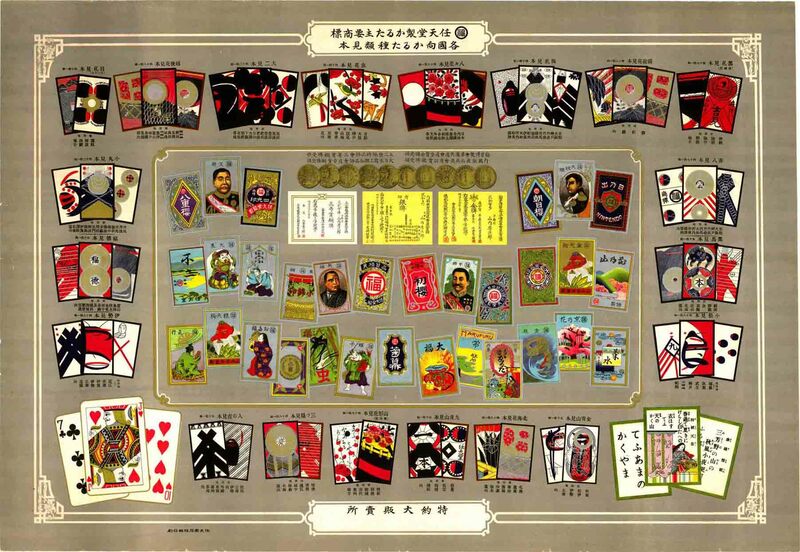 So many cool cards, Hanafuda, Kabufuda, Kurofuda, Dainifuda, etc. I am lucky enough to have found some of these decks, but I have no one to play with and have the Japanese people I know never heard of them, and the other half know of them but have no clue how to play. Your “art of describing things” made me visualize what you saw (mostly). Amazing post.. very insightful. During my time in Japan with college students I have to agree about rock paper scissors, or as they called it (and i will butcher the romanization) “jyan ken po” It seemed to come up as a deciding factor almost every day. My girlfriend and her dad call it jan-ken-pon, he also goes to a prize website and play against Janken-chan and if you beat her, the prize of the day can be withing your grasp. Interesting perspective. 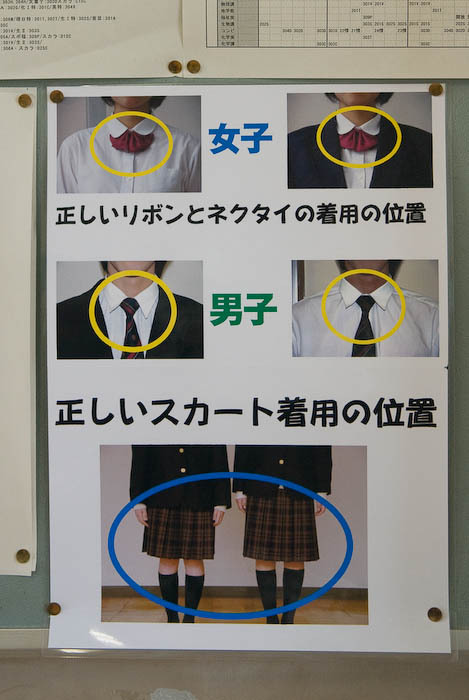 I’ve been teaching in Japanese high schools for the past 8 years, so it’s refreshing (and sometimes funny!) to see it all through your eyes. It makes me realise that there are so many things around me that I take for granted every day. Picture-wise, your shot of the school entrance is excellent. Great work! Oh, and I totally agree about janken. I’ve got a little faster at computing the results over the years, but mostly it’s still a blur to me. Since writing that post, I’ve gotten much better at it. I was playing jan-ken with Fumie and Anthony, and we were doing all kinds of variations on speed jan-ken, and with only a bit of practice I got very fast. Not as fast as a Japanese high-school kid, but fast enough to hold some respect in their presence, I think. Now: if you want to play a trick on your son (or your wife, though she’s doubtless seen it before), play janken with him, but instead of saying “Saisho wa gu, jan ken pon”, you just say “Saisho kara” and change your fist to paper on the “kara”. Your opponent is still rock, so you win by default. I’m teaching at Nishi-uji High.Our school is going to conbine with Johnan High this April. 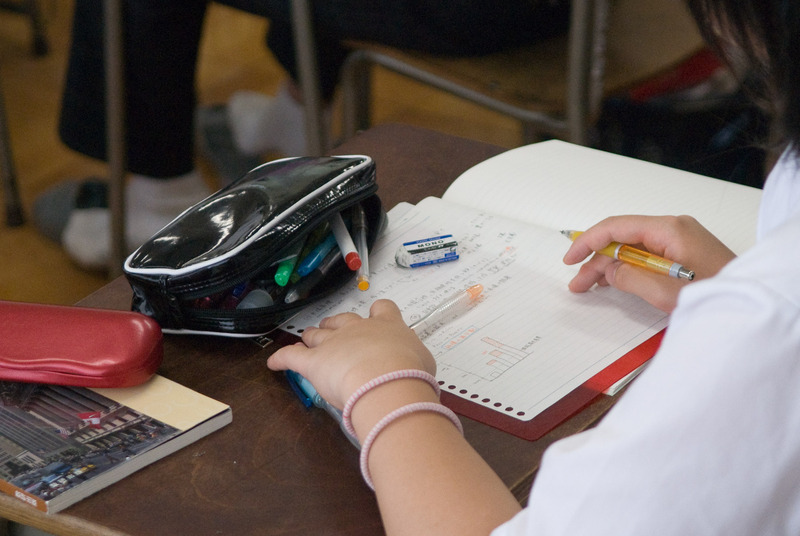 The name of new shool is Kyoto Prefectural JonanRyoso High School. I read this webpage before arriving in Japan. 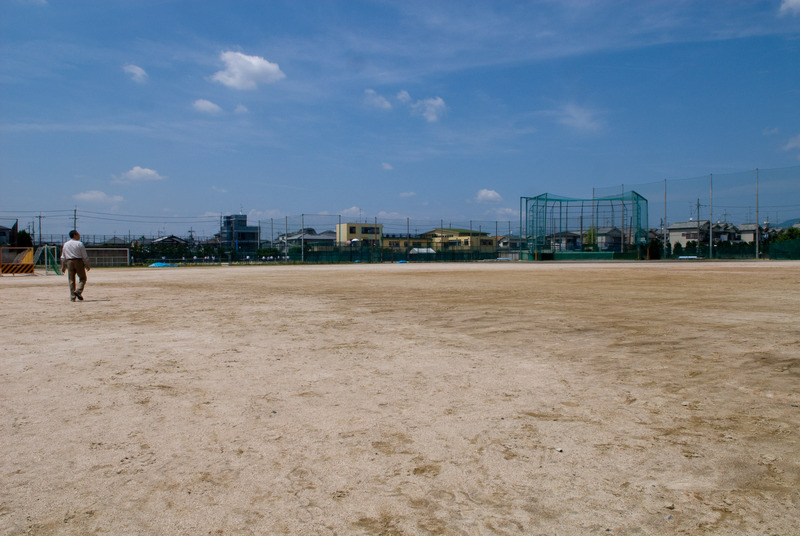 I searched for Nishi-Uji High School as I would soon be teaching there. I’d forgotten about it until Ninomiya-Sensei directed me to it again today. Thanks for the blog, especially the photographs. It was a great source of information before I arrived in japan. 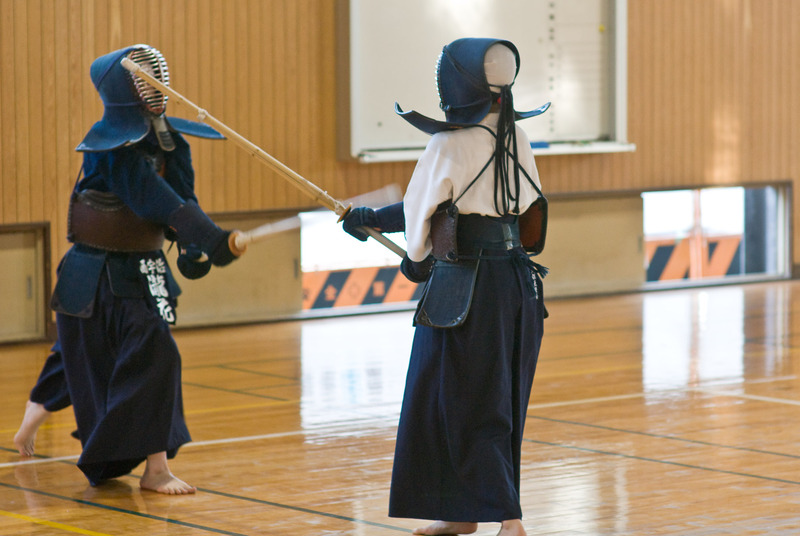 I was randomly looking up Japanese clothing styles to show my friends and came across your blog. This past summer I got to do things through an exchange program much like what you got to experience. I don’t really know the purpose of writing this, but I just wanted to say that I miss Japan so much, and looking at these pictures really reminded me of my trip and how much I loved it there. It looks almost identical to the school I visited, in Kyoto, and I just wanted to say thank you for posting this blog. 🙂 ..and I live in LA. I’m from the U.S. but have a deep passion for Japanese culture. In fact I love that I found this because one day I hope to teach English as a second language in Japan. These are some really cool pictures and you have a lot of good info on here. Thanks! I was really excited of reading this blog of yours its really interesting. I’m not Japanese but I am very interested in Japan. My mother has studied in Japan in her college days. Ever since I heard and researched about Japan I have always been interested in going to Japan when i’m in college just like my mom ^^. Of course i’ll have to study Japanese and learn their history also. Its going to be hard since im a Philippino but im really looking foward to it. Also I wouldnt have to pay for tutoring because I have my mom. She’s VERY smart so im really excited. I’m living in the U.S right now but soon i’ll be in Japan. Thank You for making this blog Mr. Friedl. It will also be cool if in the time you went to Japan you could’ve been also taking pictures around Japan to see their social surroundings. Well again Thank You Mr. Friedl. I just happened to stumble upon your blog by accident and i must admit it was truly captivating!! Your experience in Japan looks very exciting and im jealous that you were abel to explore one of the daily routines of such an amazing culture. Im from New-Zealand but i live in Australia, and i have been to China at one point for a culture tour, and will be returning this year to attend university. You blog looks really interesting!!! And so exciting. 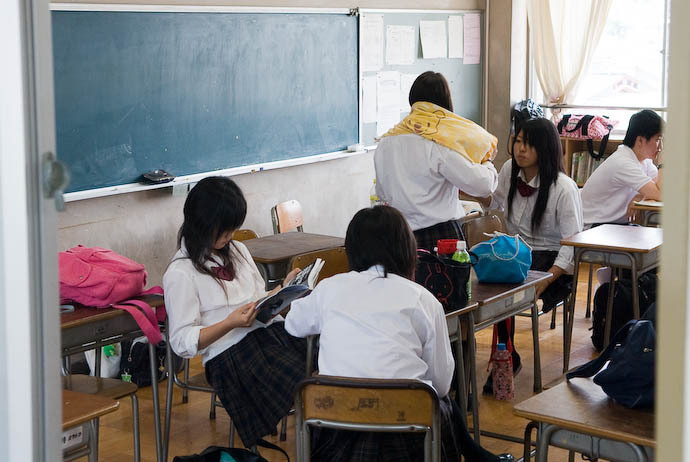 I’ve always wondered what the schools were like in Japan. I heard they were very very strict, but you showed me a side of the school which surrounds the students in a happy and exciting manner! 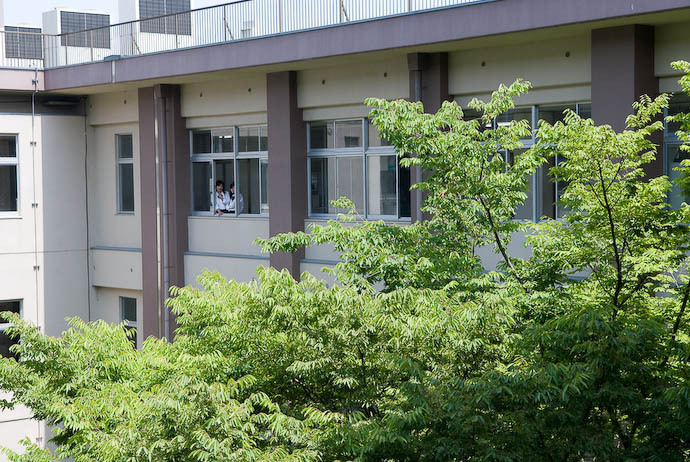 Thank you for all the high quality photos of the schools in Japan. I hope it is alright that i use some for reference drawing for the interiors of the classrooms. I am aspiring to create an accurately represented setting for the manga I plan to submit. 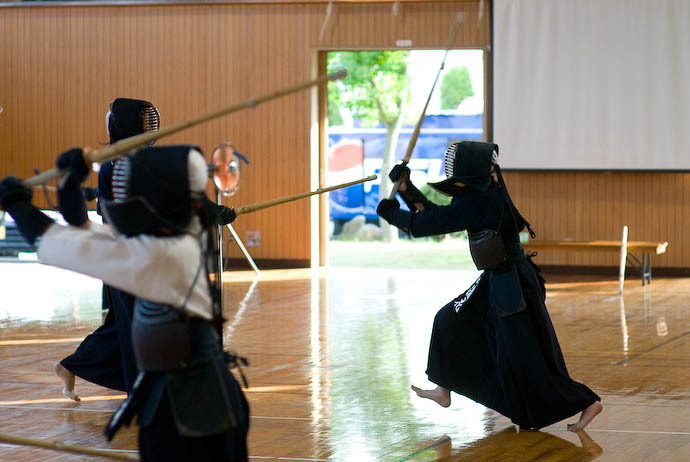 I’ve visited a Japanese school when I was in 11th grade myself, and it was an unforgettable experience. Thank you also for bringing that wave of nostalgial back. p.s. That was very interesting info! it was really intresting to read about other cultur 🙂 i have a qustion why does they wear a uniform clothes on the gym class?? I live in Brookville, Ohio, north of Dayton, Ohio and Cincinnati, Ohio. I was in Japan, Sapporo and Sendai, from 1953 through the summer of 1956. And I went to all the tourist spots from Matsushima to Kamakura. I did take a lot of photographs and got thousands more from fellow soldiers who were stationed there during the occupation. Japan was all but destitute then and most families didn’t own much. Most of the trees were gone from repeated fire-bombings. I found your blog several years ago and loved it then and just found the link again today, January 5, 2012. You have a wonderful blog. I hope people will appreciate your efforts for many years to come. “Room cleaning: it’s the thought that counts.” Haha, good one. Why are there just 26% of boys? 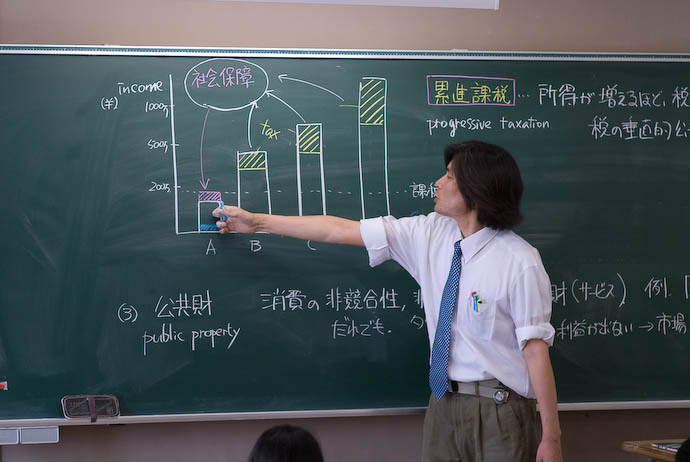 Ninomiya-sensei looks very nice, a teacher one would like to have. 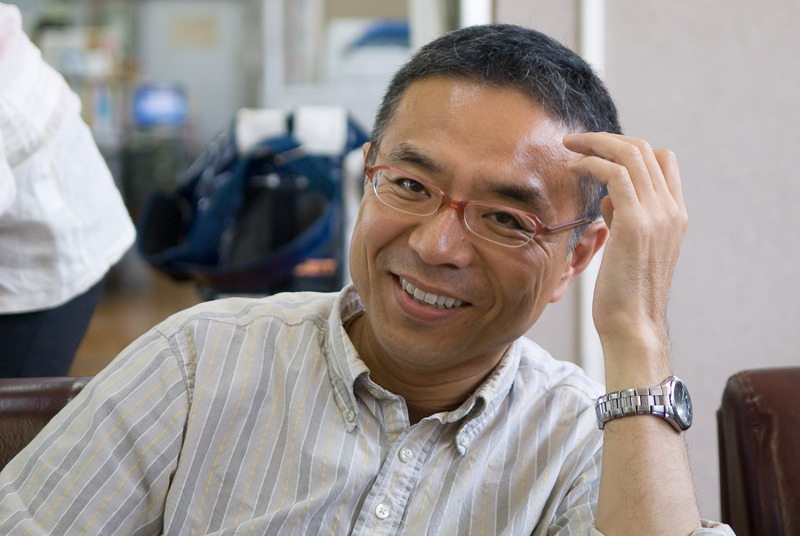 Great of him (respectively Yoko’s dad) to organize your coming. By the way I also would be interested in the answers to “life at 36”. But when I was 18 I couldn’t have answered AT ALL. This article is high quality journalism for me, you really are gifted, I can easily imagine this article printed and I would have read all of it, no matter if I know the author or not. Congrats!!!! I’m impressed! WOW! i im so extremely jealous of you. I would love to go to Japan and China I love their unifoms OMG! its so fashionable and their classrooms are so clean! Compared to mine,and what a great article mahn you really out did yourself next time take me WITH!!!!!!! hahaha joking someday I will go there and have just as much fun!!! Written by a man or a woman? I am a student from Ringwood North Primary School, Victoria, Australia. You have a great blog and I am pleased that you are all having a great time at your high school. Me and a few other students have a task to complete. Our task is too create a partenship with a school in Asia. Our group decided Japan would be a great country to make contact with. Thank you for talking this comment in and remember to look at our blog which is the link above. it is okay to visit japanese high school as a visitor???? I never know where your blog will take me. I came to this post from the 10th anniversary post. 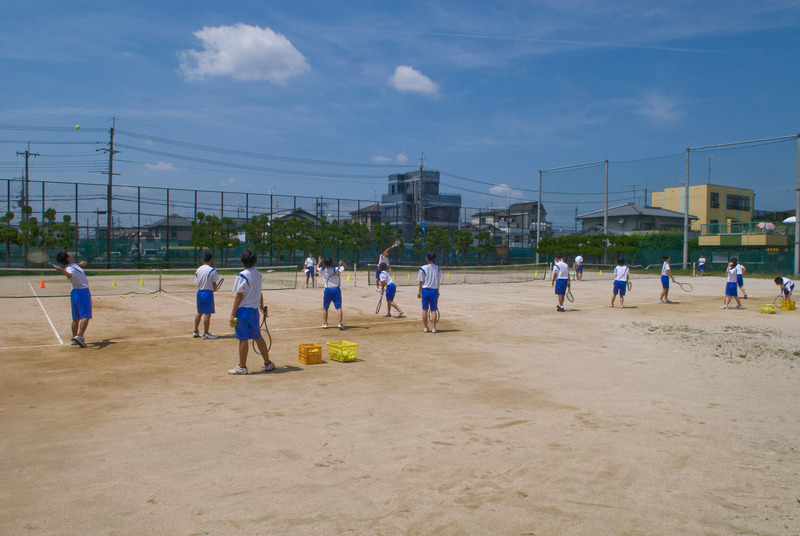 In ’05 I had a day visit at an international school in Yokohama for my wife’s 30th reunion. It was a wonderful experience. The classrooms had not changed and my wife was quickly searching for some hidden treasure under one of the desks. 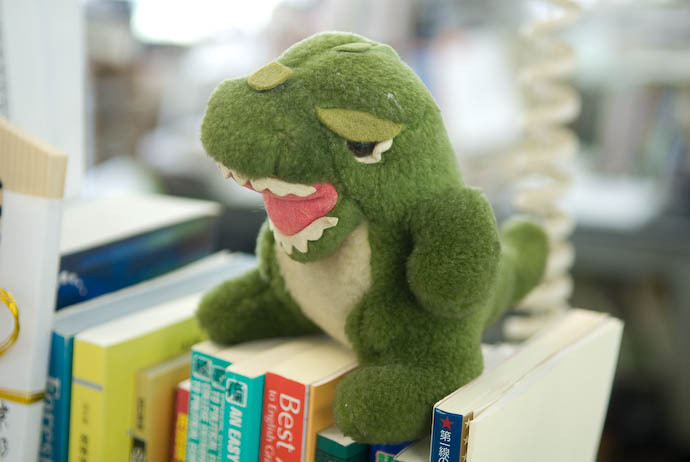 Our daughter was a high school student at the time and did not fail to show us she found it all somewhat boring. This changed when the our guide, a catholic nun from Ireland and the ex-principal of the school, started telling the story of her journey to Japan. She volunteered to go in the 40s with the understand it was a life assignment and she would never get to return home. A reminder of how expensive and time consuming inter-continental ship travels was back then. In closing you said, “Thanks Yoko-chan’s daddy”. This took me back 20 years to when my daughter played soccer. None of the player really knew my name but identified me in a way that showed respect and my relationship to the team. I was Mr. Meleah’s dad. Thanks for the morning diversion down memory lane. Konnichiwa Jeffrey-sama. Am Talen Axel Mumo…am from Kenya , Africa. WOW! Great experience and a fascinating trip. 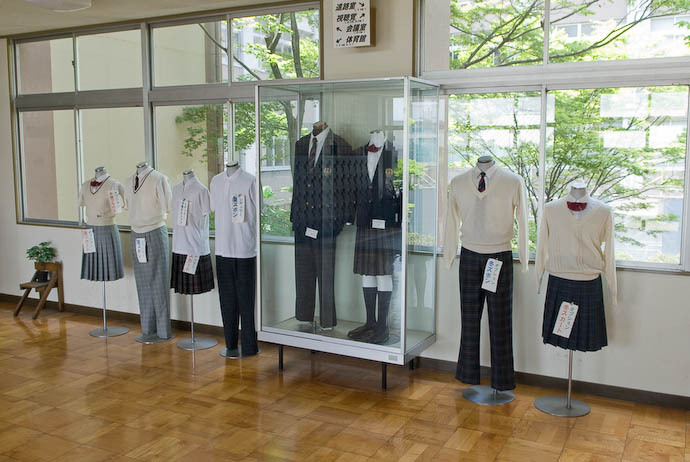 I would really love visiting a Japan highscool. I’ve always admired their culture and everything. I’m really reviewing the cool photos that you captured…Arigatou Gozaimasu for sharing. Reading this in 2019 , can’t help but feel a weird nostalgia . 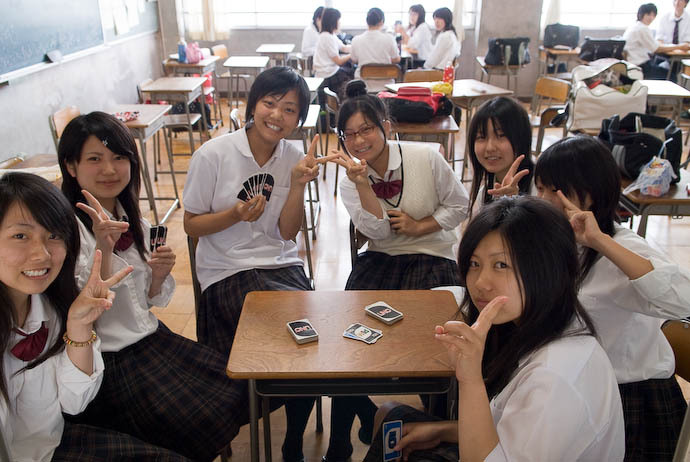 I typed in “Japan high school nostalgia” and your blog popped out . 2019 edition of high school tour needed :p .